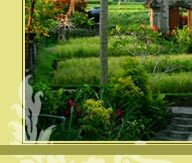 Nestled peacefully in the middle of terraced rice paddy field and lushly green mountain of Ubud, the artist' village in Bali. 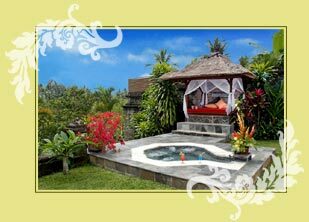 With spectacular setting above the rushing Petanu River giving the sense of tranquility, serenity and blissful state. 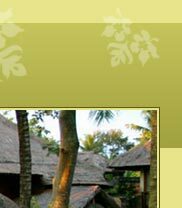 The resort has the strong resemblance with the enchanting traditional Balinese village. 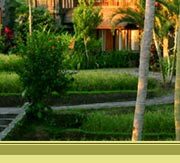 Just about 50 minutes drive from I Gusti Ngurah Rai International Airport in Kuta and about 10 minutes drive to the center of Ubud. Comprise of 58 rooms that blends beautifully to the surrounding. 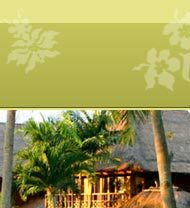 Each pavilion and villa is designed uniquely with a generous bedroom, indoor living space, bathroom with sunken bathtub and private tropical courtyard with outdoor garden shower. 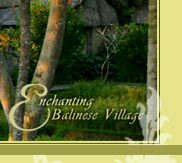 All villas is overlooking the lush green valley and traditional Balinese gazebo "Bale Bengong", some of the villas also completed with either private jacuzzi or private free-form swimming pools. Offers a truly indulgence for the body senses with the finest herbal potions combined with Asian and European techniques to give you complete relaxation and rejuvenation of the body and mind. 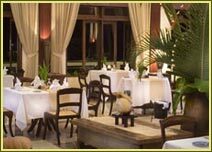 Suitable for breakfast or to have romantic dinner with Asian cuisine and a wide selection of Western cuisine. Reading room with book selection at your disposal or to play pool game. 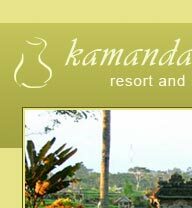 Three golf courses: Nusa Dua, Tabanan and Bedugul are only 90 minutes drive from Kamandalu. 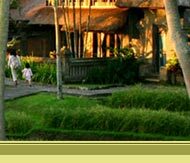 Bale Ketemu is a 215 sqm with parquet floor and high ceilinged and fully equipped meeting room in Kamandalu. Suitable for formal meeting to a private wedding party, for seminar or for cocktail gala and able to have guest up to 150 persons.